Making big changes to the society always comes through small acts of benevolence and with an intention to help the needy. Arun Yellamaty, Founder of Youngistaan Foundation, is one such person who has always wanted to help and reach out to homeless people, underprivileged children, and those who are in need. Thus, he turned his intention into action and started Youngistaan Foundation. As a child, Arun has always made it a point to help anyone in need. He started working as a pizza delivery boy at the age of 18. He paid his own college fees and bills. “I was raised by a single mother and has a very tough upbringing. I fought for my basic needs. 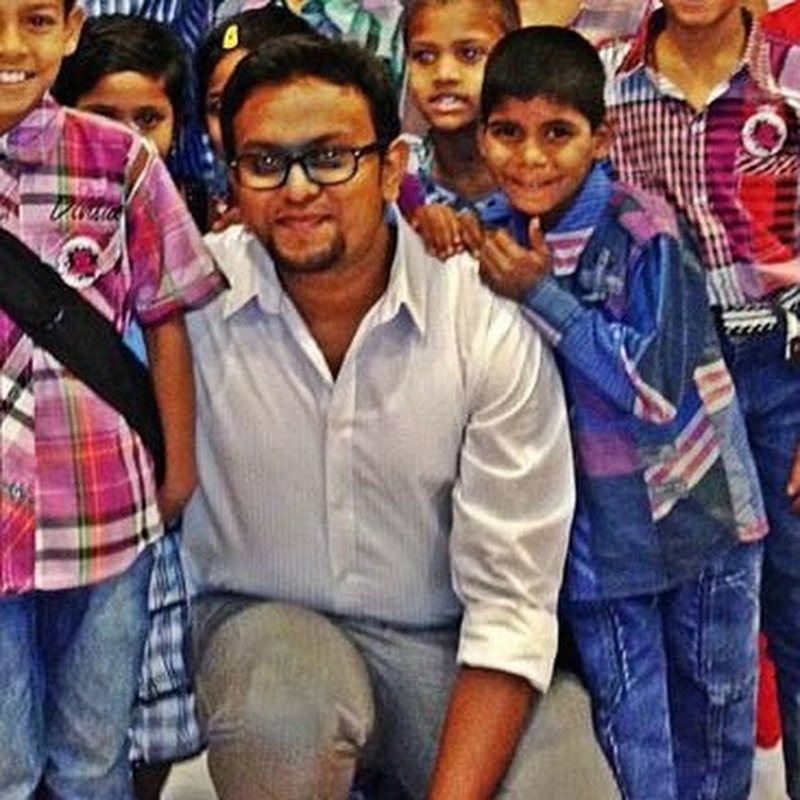 This was one of the many reasons why I wanted to help people,” says 30-year-old Arun, who also plays in a band. After one of his performances, a young person walked up to me and mentioned that he wanted to help people in need but was unaware of any platform to do so. Usually, as part of their concerts, Arun plays a video or two to motivate people to help the needy. “Somebody who attended the gig, walked up to me later and expressed interest to do what we were encouraging people to do,” says Arun. 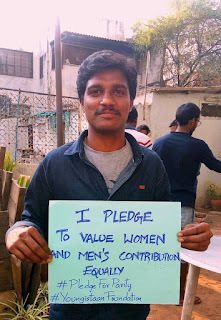 After reflecting upon this person’s words, whom Arun says he never met again, Arun along with few friends started Youngistaan Foundation in 2010, although the organisation was formally registered only in January of 2014, to provide a platform for young people to help the needy and lesser privileged people of the society. In 2010, they stared with five volunteers feeding about 10 homeless people. 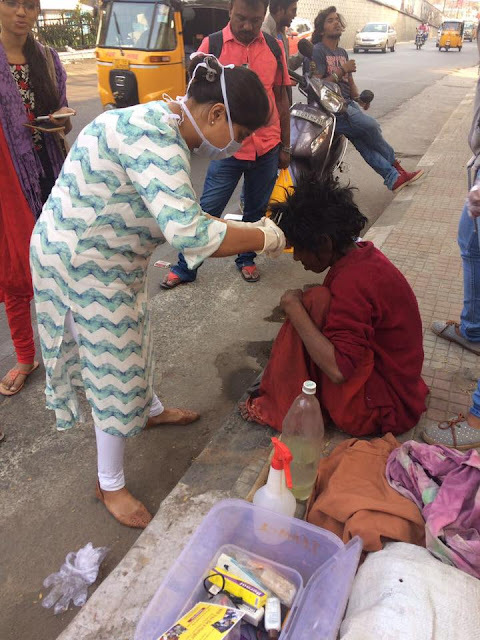 Now, there are 700 active volunteers across four cities in the country, who take turns to cook fresh meals and distribute food packages across the city to 1,000 homeless people every Sunday. They call themselves the Hunger Heroes. Working along with them is the Transformers team that restores the basic dignity of the homeless by giving them haircuts, shaves, clean clothes, hygiene kits, and first aid treatment. The foundation also works towards educating the underprivileged and empowerment of women. The organisation runs the 'Bright Spark Education Programme’, which is a mentorship programme that works with over 500 underprivileged children in four orphanages, two government schools, and two slums in Hyderabad. The organisation also runs a gender awareness project, 'Women of Courage', which is currently attempting to financially empower a local community of about 50 women from a slum in Hyderabad through skill development. “Challenges always make us stronger, and as an organisation we have had issues like any other organisation. No one believed in us. A lot of people told us not to waste time and focus on our career. A few of the people who were part of the inception chose to drop out. But, all the tough issues taught us to work harder and not to give up,” says Arun. Within a span of four years, the organisation has fed more than five lakh homeless people, transformed the lives of over 3,000 people living on streets through rehabilitation, basic hygiene, and first aid, and sponsored the education of over 50 children from orphanages and slums. “We have mentored close to 500 orphaned, HIV affected children at children homes, government schools, and slums. We have worked with over 50 women from a local bastis to empower and help them sustain a livelihood,” says Arun. As part of the ‘Women of Courage’ programme, the organisation worked with over 2,000 girls with various awareness programmes. They have also rescued a number of children from railway stations while distributing food on the streets. The team has also conducted blanket and clothes distribution drives every winter, raincoat distribution during rains, and slippers ad drinking water distribution in the summers for the homeless. The Youngistaan Foundation has its presence in Mumbai, Bhopal, Noida, and Hyderabad and hopes to reach out to other cities across the country. It has a team of 10 core members and close to 300 volunteers. “We want to grow and make our programmes more effective to the people in need. We plan to set up a 24-hour feeding/vocational training/ shelter centre. 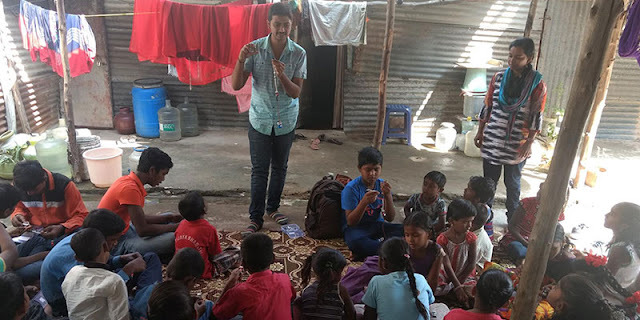 This year, we plan to reach at least five lakh girls through our WOC programme,” says Arun, who is currently pursuing his Masters in social work.